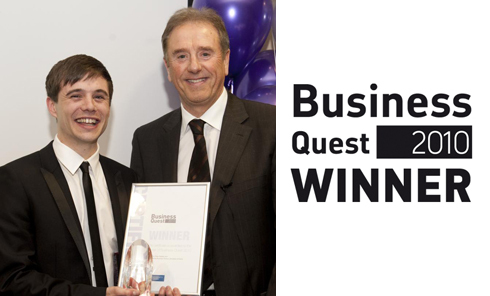 Revolver Revolver won Business Quest 2010 in it’s inaugural year. The award started by Derby entrepreneur Peter Gadsby set out to find the brightest young business talent. The judging panel for the award was made up of members from Derby’s most respected business community including Cooper Parry, Geldards, Marketing Derby and Ark Capital.